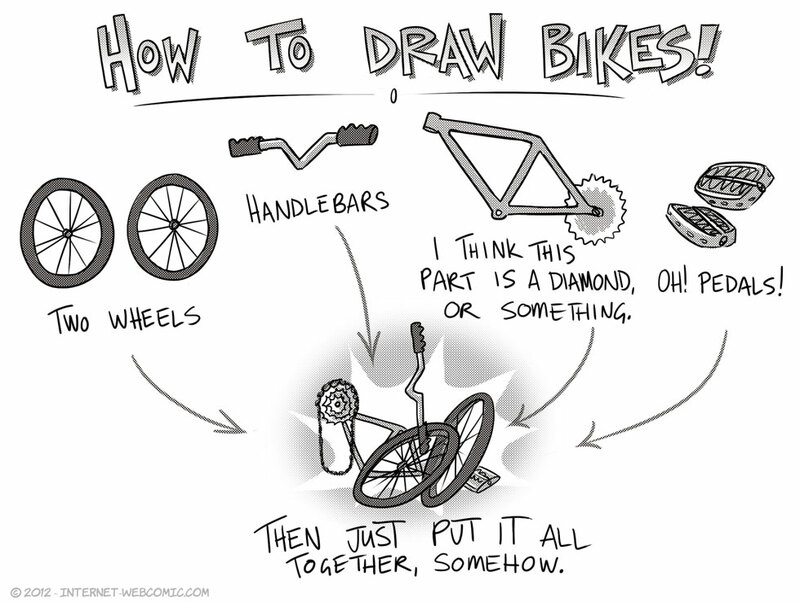 My highly successful and super dependable method for drawing bikes! Got some nifty social media buttons, and an inkscape banner up- that’s most of the stuff I wanted to add to the site all taken care of! Next I’ll be looking into design- maybe instead of using the default dynamic buttons I could make my own so they don’t look so out of place…. hrmm. Some day I’ll undergo a traumatic event and be forced to recall the worst drawings I’ve ever drawn. They will all involve bikes. AND YET CHARACTERS STILL SOMEHOW GET AROUND ON THEM. And when they come back on camera they crash the bike.